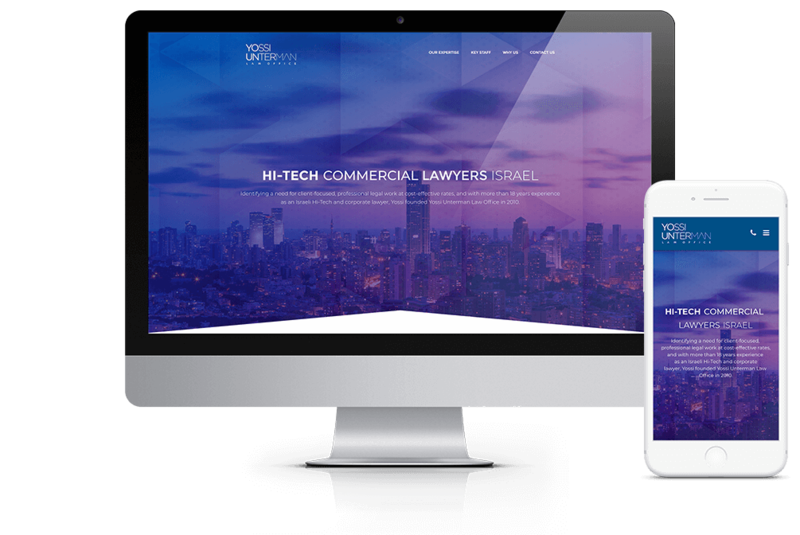 Yossi Unterman Law Office provides legal representation within the IT, Hi-Tech and Bio-Tech industries in all aspects of commercial law, from investment agreements, commercial agreements, and M&A. Yossie Unterman Law Office experienced significant delays and very poor customer service from their previous web design agency. Digital Rescue was engaged and delivered within realistic timeframes set out. From the outset, the team undertook the crucial task of logo and brand development, followed by a ‘non-traditional’ design roll out across the website, that appeals to the start-up and tech sector audiences. A big thank you to Estelle, Noam and the team for developing a fantastic website for my business. After a hellish experience with a previous vendor, where I wasted weeks waiting for them to get back to me, it was refreshing to get great service, with fast turnaround times and a wonderful result from the Digital Rescue team.